Adobe has announced that its Create Now 2015 - Bangkok launch event has been postponed, in the wake of the recent bombing. Meanwhile, Thai officials and hotel representatives have been advising the C&I market in Bangkok, offering advice to those already in the city. Grand Hyatt Erawan Bangkok, which is located 300m from the site of the explosion, said the hotel currently had one large conference group from Asia staying at the property. "The road outside the hotel was blocked off, meaning guests were unable to access the hotel by car," said Khemwanta Tangon, marketing communications manager at Grand Hyatt Erawan Bangkok. "The delegates were meant to travel in last night but most were unable to get into the city so they had to stay at the airport until this morning. Guests entering the hotel also had to get their luggage screened for security reasons before entering. The meeting is still taking place today, although the number of delegates have been reduced as many couldn't travel to the destination." "The safety and security of our guests and colleagues is our top priority. Grand Hyatt Erawan Bangkok has elevated security following the incident. All perimeters have been secured and all bags and luggage are being checked at each hotel entrance." The hotel experienced some minor damages as a result of the incident and will continue to monitor the situation closely. However, the property is continuing to run in 'full operation'. 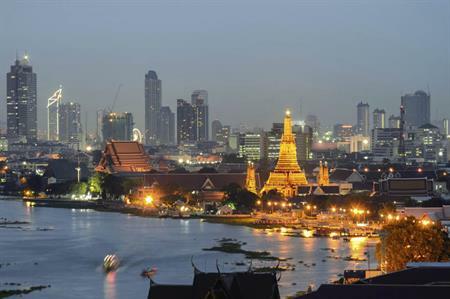 Destination Asia has advised clients to be "sensitive to surroundings at this time while exploring Bangkok". The statement went on to add: "It was a very sad evening for all the residents of Bangkok to witness an unprovoked attack on innocent people going about their lives. The Thais are a strong and resilient nation and will remain united in justice for all. The Thailand Conference and Exhibition Centre has issued a statement to advise that Thailand’s C&I industry will continue to operate as normal, with all public and private sector stakeholders working together to monitor the situation. All hotels, venues and attractions are open and ready to welcome travellers, while transportation links, major roads and airports continue to operate, including Bangkok’s BTS Skytrain and MRT services and both Don Muang and Suvarnabhumi International Airports. Jemma Peers, client services director at UK agency Corporate Innovations, said she believes there will be ‘initial anxiety’ following the event, but it is unlikely to deter her clients from choosing Thailand as a destination, long term. "We have a client currently deciding on Thailand as a destination for an event next year. Our risk assessment and contingency planning is already very robust particularly around incentive travel," she explained. "We would take a incident of the nature very seriously and ensure all risk is evaluated and briefed to the client and team before hand without compromising the experience of the guests." According to Destination Asia, all areas outside Bangkok and other tourist destinations within Thailand, such as Phuket, Samui, Hua Hin, Pattaya and Chiang Mai, remain fully operational and are not affected. Is Thailand still on the pitch list?